Tá Peadar Ó Riada ag glacadh le hiarratais anois don chomórtas do Bhonn Óir Seán Ó Riada 2018, atá dírithe i mbliana ar an bhfidil. Bronnfar an bonn agus €2500 ar an mbuaiteoir ag an gcraobh, agus beidh an chraobh á chraoladh againnn beo ó Chorcaigh ag tús mhí Feabhra 2019. Déanfaidh na moltóirí na hiarratais a mheas, agus fógrófar cé hiad an 15 iomaitheoir deireanach a bheas sa chraobh, agus cé hiad na moltóirí, ar Cuireadh chun Ceoil ar RTÉRnaG ar 30 Samhain ag 7 pm. 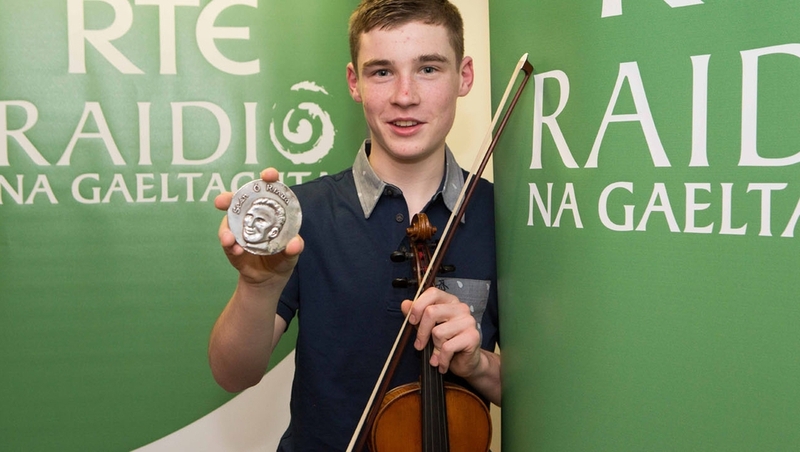 Peadar Ó Riada is now accepting entries from fiddlers for the Seán Ó Riada Gold Medal 2018 competition. The winner will take home the medal, as well as prize money of €2500, and we will be broadcasting the final live from Cork in early February 2019. The judges will assess each entry ‘blind’, that is without knowing who the competitors are, and will pick the fifteen finalists who will be announced on Peadar Ó Riada’s Cuireadh chun Ceoil programme on 30 November at 7 pm.